I LOVED the Peter Pan and The Beauty and the Beast interactive editions from Harper Design, so naturally I have my eye on The Little Mermaid and Other Fairy Tales from Hans Christian Andersen! True, it's one of the saddest original fairy tales ever, but these books are just gorgeous and I do still enjoy the tale despite it's heartbreak. I'm a glutton for punishment apparently! Oh my god! The Little Mermaid is coming out? I'm definitely excited for this! Great picks! Oh that little mermaid sounds fun. Haven’t heard of the other book. Will check it out. The Little Mermaid is adorable! I would have loved that when I went through my Little Mermaid phase back in the day (Hans Christian Anderson and Disney version!). Thanks for sharing! They both look great. I love anything mermaid! I need to catch up on KMM books too :( One day!!! The Little Mermaid and other fairy tales looks intriguing. I've never read anything by Karen Marie Moning before, but I would gladly go to Paris with you to meet her. When I was a kid, I have this beautifully illustrated Hans Christian Andersen book, that my grandmother gave me. I carried it around everywhere for quite a while. I wish I knew where it was now. 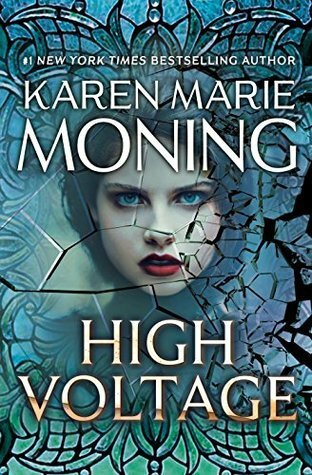 I stopped reading the Dani O'Malley novels after Burned because I didn't like the direction the series was going, but I hope you enjoy High Voltage! 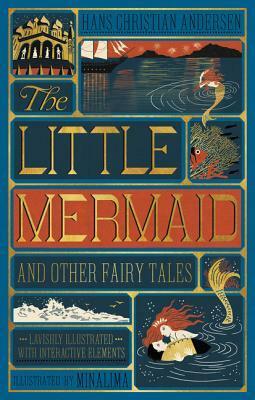 The cover of The Little Mermaid makes me NEED it. Like I don't even care about the actual book, I just want that cover! Hope you enjoy both of these! That High Voltage has me curious. I've never heard about this before but it seems like an interesting story. Thanks for sharing. Hope you enjoy both! I cant wait for that edition of The Little Mermaid either. It looks so great.